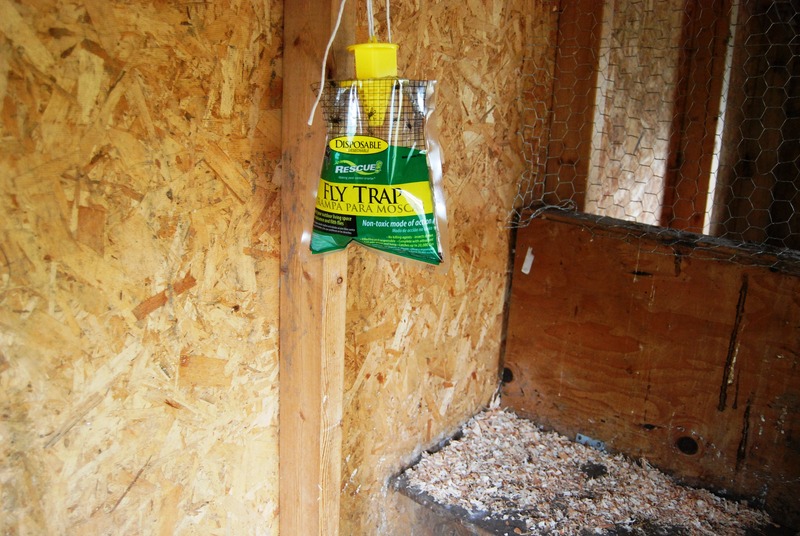 Keeping flies down in your chicken coop is good for the health of your birds, keeps your neighbors happy and definitely makes collecting eggs a lot more pleasant. Buck, buck I hate flies! Using traps to catch existing flies. Good old fly strips work well but they need to be replaced often and you need to be careful not to get caught up in them. 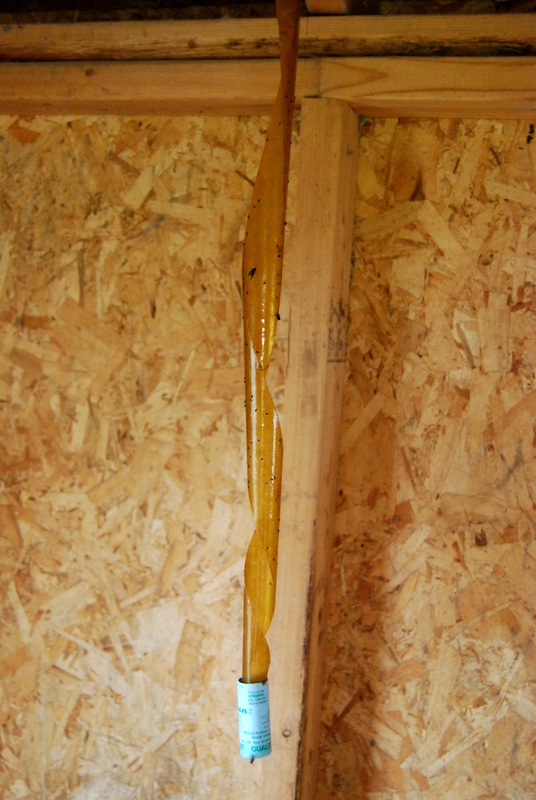 These traps attract flies with smelly bait; when the fly goes in they drown in water. These work great but the odor can get intense. Preventing flies by keeping down the amount of poop. 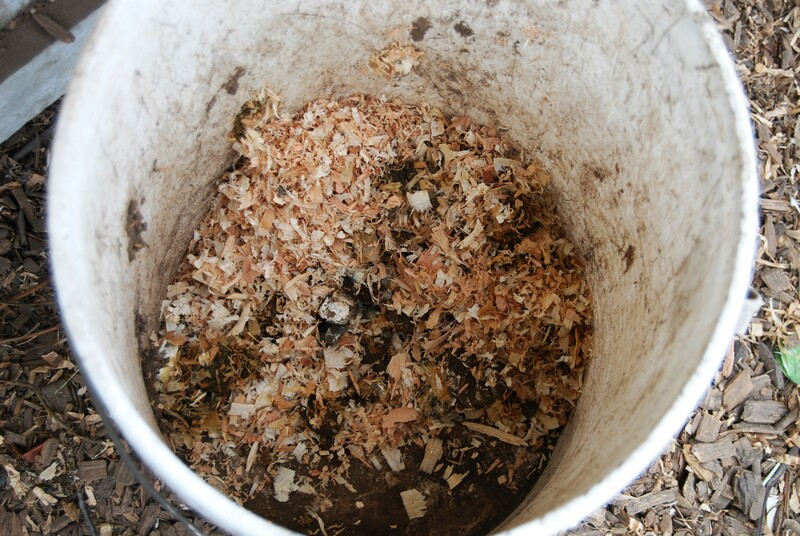 Putting down a light layer of pine shavings absorbs waste and makes it easy to scoop up. 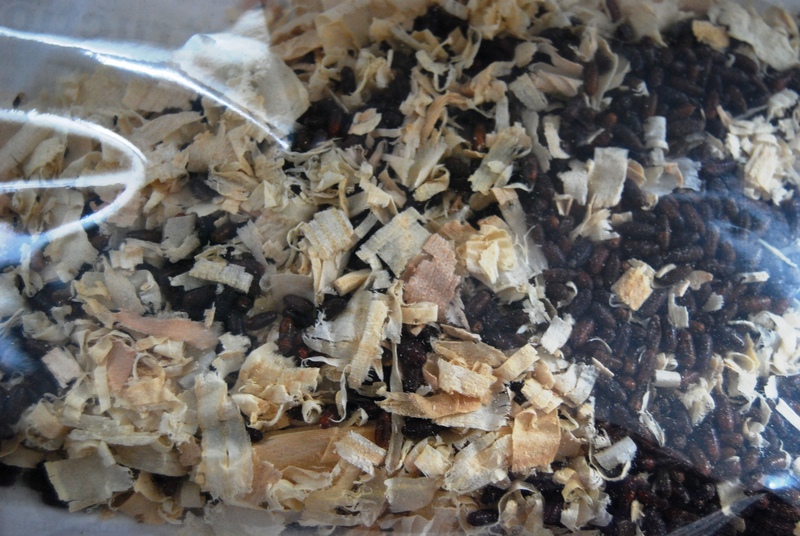 It’s better to use pine shavings than cedar as the oils can harm your birds. I use a small scoop to pick up each day’s waste almost like cat poop in a litter box. Once the shavings get saturated I sweep them out and put down new ones. 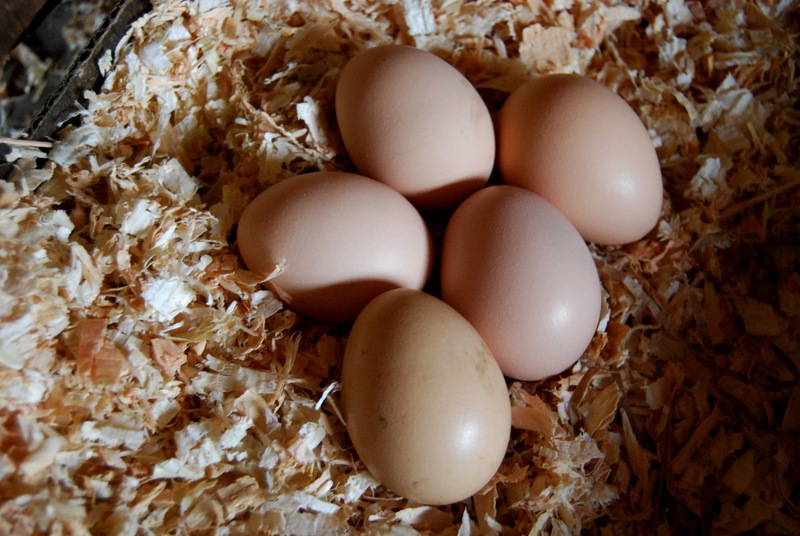 If they are really dirty then I compost them instead of sweeping them into the yard around the coop. I save time by collecting a few days worth of waste in a bucket then dump it as it begins to fill. 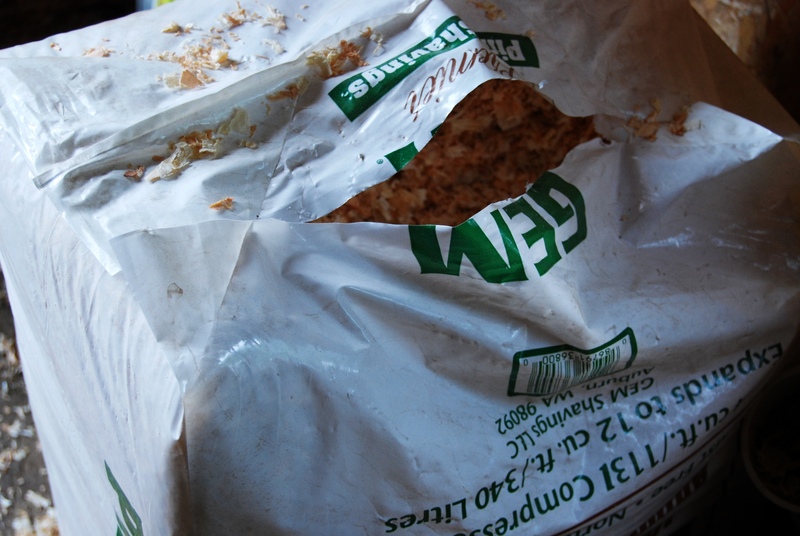 Once the waste and shavings are composted they make really effective fertilizer. 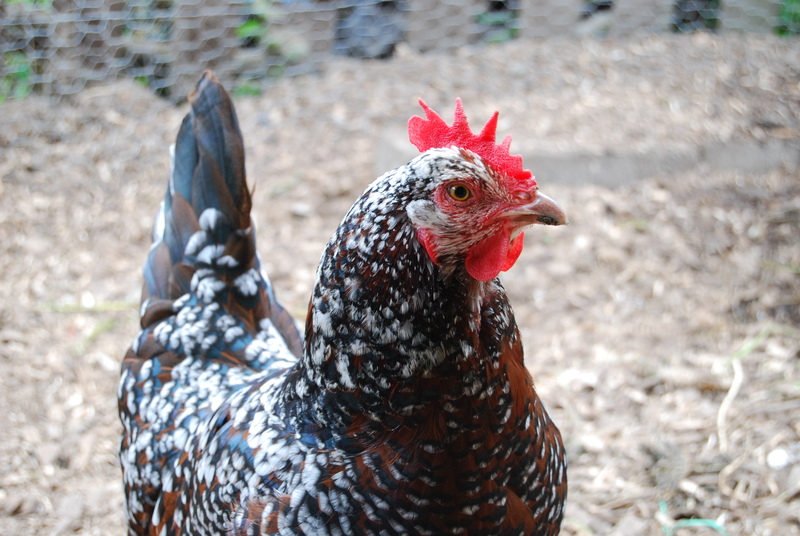 It’s important to let your compost break down and mellow though as straight chicken poop will burn your plants and the decaying wood chips can rob your soil of nitrogen. Depending on how often you turn your compost pile, heat etc. it can take six months to a year for your compost to be ready. The reward for a clean, pest free coop! I just ordered these parasitic wasps. Hope they work! Here is what the parasitic wasps look like. I’ll let you know how they work! What tricks have you found? I’d love to hear about them! Another item to consider is natural fly predators. I have been using them for more years then I can count and they do work. It is a tiny, tiny fly part of the wasp family and it lives off of the fly larva. You use them throughout the fly season and here at our farm flies are nearly non existent. We purchase our through Spalding labs. Thanks Mary, I have not tried predators and will order some soon. We have 3 green and yellow fly traps positioned around our 15×60 run. They work very well.